Review: Natalie Prass, 'The Future And The Past' On her sophomore release The Future and The Past, the heartbreak of Prass' 2015 self-titled debut is still there in spades, but the narrative — as well as the music itself — is somehow grander yet. 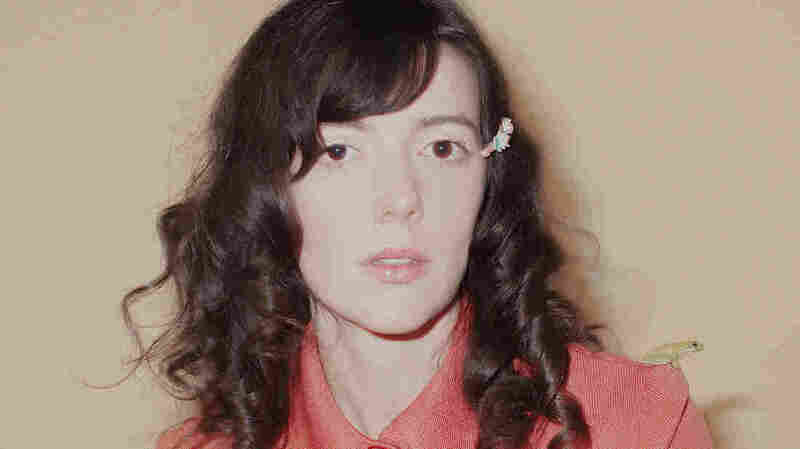 Natalie Prass' The Future and The Past comes out June 1. In 2015, Natalie Prass plumbed the depths of romantic heartbreak in grand fashion on her self-titled debut LP. Rife with lush string arrangements and nimble feats of vocal athleticism, it remains one of the rare albums truly deserving of the overused descriptor "cinematic." On her sophomore release The Future and The Past (out June 1 on ATO Records), the heartbreak is still there in spades, but the narrative — as well as the music itself — is somehow grander yet. According to her record label, Prass scrapped an entire album of new material after the 2016 presidential election and started over with plans to translate her own heartbreak to paper and, eventually, to tape. To do so, she tapped producer and collaborator Matthew E. White, as well as new partners in Blue and Michael Brauer. As Prass' lyrical vision expanded outward, so, too, did her sound, as the panoramic orchestral pop of her debut LP became something of a palette upon which the team layered funk, disco, jazz, and plenty of '90s pop R&B. Opening track "Oh My" is quite the statement, absolutely dripping with funk in an arrangement that recalls Prince, Talking Heads, and, more recently, Janelle Monáe's Dirty Computer. It's also overtly political; the refrain "it's giving heartbreak to me" refers not to an old flame but to "read[ing] the news." A dance-floor ready number, it makes the case early on that socially conscious music doesn't have to be dour. Prass doesn't shy away from commentary elsewhere on the album. "Sisters" is a slow-burn ode to "nasty women" and intersectional feminism ("I want to say it loud for all the ones held down"), sharing some narrative territory with Margo Price's "Pay Gap" and sonic similarities with both the Fugees and the Spice Girls. Closing track "Ain't Nobody," which contains the lyric "stand like a rock," is a resistance anthem that wouldn't have sounded out of place on '90s R&B radio. Prass hasn't lost her penchant for charting the cracks in our emotional suits of armor, either, and her keen sense of the romantic pervades The Future and The Past. Lead single "Short Court Style" explores an "It's Complicated" relationship, with funky, muted guitar, sunny vocal harmonies, and piano reminiscent of Mariah Carey's 1997 album Butterfly. "Far From You" will sound more familiar to fans of Prass' debut album; a simple arrangement swells in time with Prass' own emotional arc as she looks back at an old love. The Future and The Past could be an on-the-nose title if the album didn't sound so ... current. With interplay between old sounds and new technologies, a blurring of the personal and the political, and, of course, a stylistic evolution from Prass herself, this new album neither absolves us of the past it decries or lays a blueprint for the future it hopes for. But it does make the here and now sound a whole lot groovier.